Watching the Ethiopian government shoot dead dozens of protesters last weekend made me sick with worry about my partner, who faces execution there for his political views. Andargachew Tsege, we call him Andy, is a British citizen and father of three. 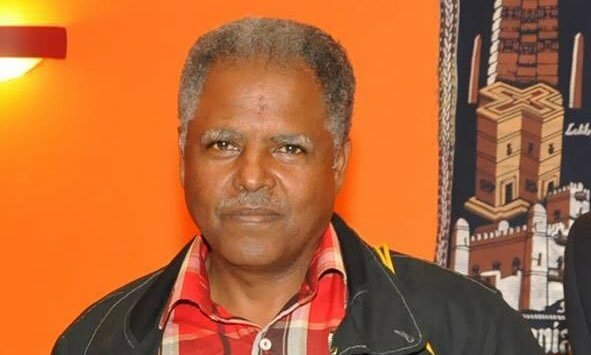 He is no stranger to protests in Ethiopia – he was a student activist in the 1970s, demonstrating against the then-government and eventually having to flee to London for fear of persecution. He would go on to become a key figure in Ethiopia’s pro-democracy movement. In 2005, following years in exile, Andy braved a trip back to Ethiopia to launch his book, which criticised government corruption and abuse. He was among the thousands who were arrested in a post-election crackdown by the ruling party, the EPRDF – the group that still rules Ethiopia with an iron fist. Andy was badly beaten in jail, but was thankfully released a month later. Back in Britain, Andy became general secretary of an opposition coalition and one of Ethiopia’s top pro-democracy activists. He testified to the US Congress about the dire state of human rights in Ethiopia under the EPRDF, and was a regular commentator on Ethiopian affairs for the BBC. In 2009, Ethiopian security forces again moved to crush dissent, arresting dozens of people who had spoken out against the government. Andy was charged in absentia and sentenced to death, in a trial that observing US diplomats described as “lacking in basic elements of due process”. Ethiopia’s then prime minister, Meles Zenawi, who oversaw my partner’s death sentence, was an old university friend Andy had once hosted in London. Andy continued to call for democracy in Ethiopia, criticising the regime’s human rights abuses and the suffocation of free speech. This authoritarian tendency escalated ahead of the most recent elections, where the EPRDF won 100% of the parliamentary seats. Independent bloggers were rounded up and given lengthy sentences. Andy wasn’t safe either, even though he’s a British passport holder who had avoided stepping foot in Ethiopia for nearly a decade. In 2014, a few weeks before Andy, the kids and I were due to go to Rome on holiday, he was kidnapped by the Ethiopian authorities miles outside their border. He was passing through an international airport in Yemen en route to meet exiled Ethiopian opposition politicians when he was snatched and taken forcibly to Ethiopia. He has been held there by the country’s security forces ever since, under sentence of death. Weeks after Andy disappeared, British diplomats found out and told me what had happened. It broke my heart. I screamed and I wept, knowing Andy was now a captive in Ethiopia. He was in the lion’s den. There is no place more dangerous for him in the world. Here in London, I look at our three children and it just breaks my heart. I am really trying my hardest to stay positive, but I can tell that they see through this. It is especially hard on them. Our two twins turned nine without their father here, and our eldest daughter, Holly, has turned 16, taken her exams, and started college without him here. Sometimes the children cry and talk about their fears that their papa may not come home. I am not allowed to visit Andy. While he was initially held in a secret location for a year, he is now detained in a prison outside the capital called Kality, which holds journalists and political activists and has been dubbed “Ethiopia’s gulag”. This nightmare has been going on for over two years. Our three children desperately want their dad back. I can only imagine that the EPRDF is going to these extreme lengths because they know that Andy is one of the most important people in the Ethiopian opposition, and therefore represents a threat to them. Andy wants to see fairness, democracy and choice – which we take for granted in the US and the UK – offered to a nation that has spent decades under the oppression of dictatorial regimes. So far the British government has refused to call for Andy’s release – a call that has been made by the UN, members of US Congress, the European parliament, and British MPs. The Foreign Office says it’s trying to get Andy a lawyer, but it’s plain that there are no fair trials for political activists in Ethiopia – just yesterday there were fears for 20 students from Addis Ababa who went on trial for protesting against human rights abuses. Will they join my partner in prison too? This week’s protests are just the latest backlash against the terrible repression that Andy has been fighting his whole life. All his family in the US and the UK can do is hope that Ethiopia’s government will be persuaded by its allies to end the killing, free Andy, and finally allow space for democracy in Ethiopia. I urge the US and the UK to do all they can to make sure that happens, before more lives are lost.